Register your self for weekend sparring before March the 16th and make sure yourself start to training from now! Ticket: 75k (early bird) and 100k (on the spot). Free 1 bottle of bintang beer or can of coke and free canopes. 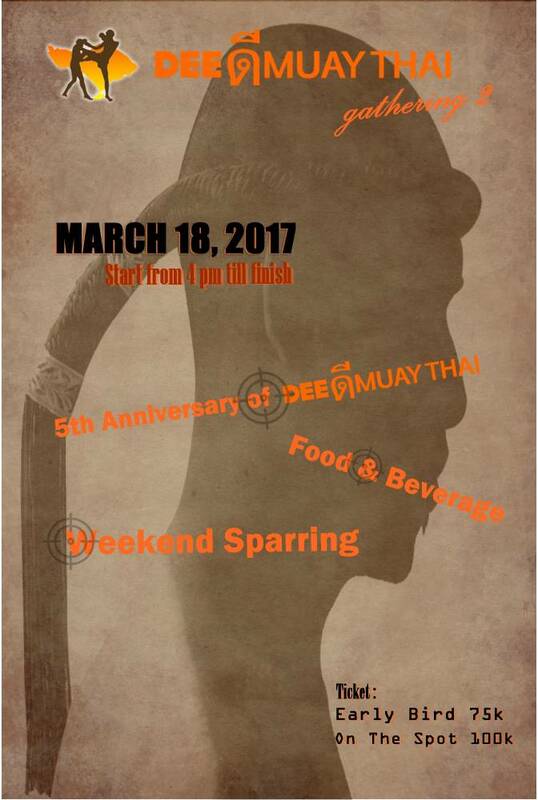 For futher information please ask our friendly Dee Muay Thai team.